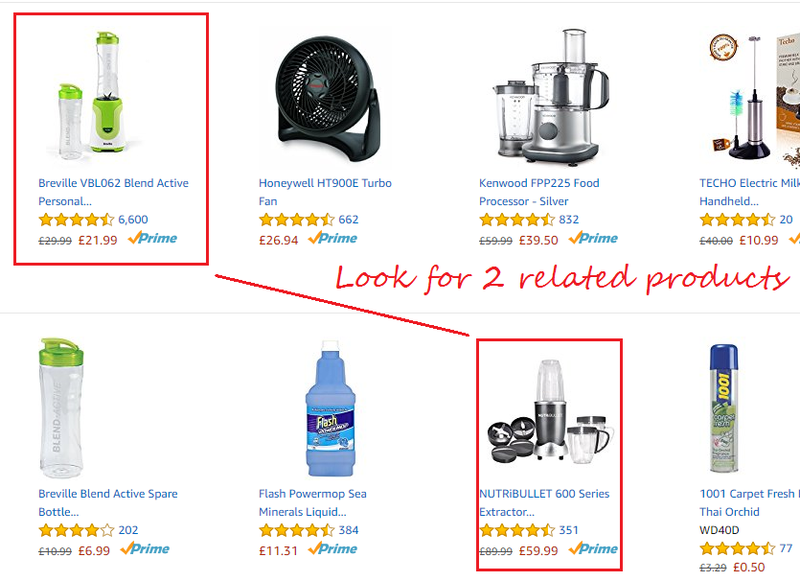 Recently, I was putting together some juicer versus blender PLR, and happened across a great technique for generating quick traffic based on products that Amazon customers are actually looking for! The following is a cheat sheet that should help you to quickly pick, compare and write about products that are sure to rank well and be popular. In addition, using my keyword evaluation techniques from the SEO tutorials, you can also be sure that they represent money in the niche, ready to be spent. Amazon maintains lost of best-seller lists, and while the main list tells you what's hot right now, the Most Wished For and Most Gifted lists often tell a different story. For example, Most Wished For products have a market that knows what it wants, and is likely sharing that with other people -- friends and family mainly -- who are looking to buy them a gift. Most Gifted is a response to wishes, plus an insight into what people actually spend their money on. So, you should look for two items that figure highly in both lists, but which aren't the same (for a versus piece) or which are complementary (for an up-sell piece). In the image on the right, I've highlighted the related products which can be pitched one against the other, with a little research. In the bottom left of that image, you'll also see a complementary product for the Breville Active Blend -- a bottle that has been gifted a substantial number of times. This kind of market intelligence tells you a lot about the target market and how you can create content that will generate interest. But what it doesn't tell you is which keywords to target. This is where we bring in the AdWords Keyword Planner. Regular readers will know that this is my current go-to tool for the raw evaluation of keywords, despite being a Market Samurai affiliate, simply because most other tools get their data from either the AdWords or Google databases. 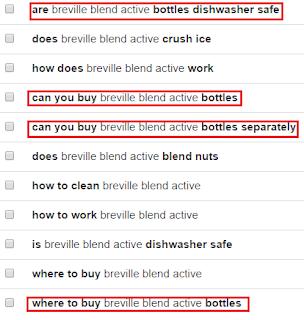 A simple search reveals that (at the time of writing, and for the UK market) Nutribullet as a keyword out-pulls Breville Active Blend by about 35 times. 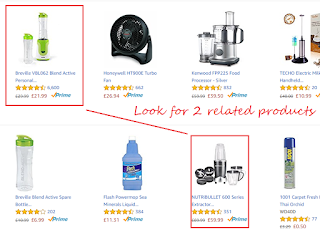 Plus, a review of the suggested keywords shows that there is also more advertising money being spent across a wider spread of keyword phrases for Nutribullet than for the Breville. This makes sense: the Nutribullet is more than twice the price, and therefore it's likely that with the brand attachment that seems to come with it, there's more money to be made by selling them. But we can't ignore the facts: the Breville is more often wished for, and its accessory (a spare bottle) is more often gifted. With high traffic, and relatively high advertising spends, the stage is set for a Nutribullet vs. Active Blend project. So, what do people actually want to know? This is where we start to think about the hungry market. We want to know if there are any burning questions that the prospects need to know the answer to before choosing one or the other. I start with the underdog -- the Breville in this case. The tool of choice is KeywordTool.io; there are others, but I happen to like the no-nonsense interface that it offers. On the right is the result of a quick search for questions on 'Breville Blend Active' for the UK market, as reported by Google. You'll note that I've highlighted the four specific questions that related to the product that we have already seen in the Most Wished For / Most Gifted list. This is important, because it tells us that people are looking for, and then buying the bottles that go with the Blend Active. We could stop here, and create a whole micro site all about Breville bottles. But, there's more! The next step is to to the same query for Nutribullet. This time, instead of 11 suggestions, Keyword Tool returns over 130. The question is, where is the overlap? More importantly, there are a whole bunch of questions specific to the Nutribullet, but which could equally be asked for the Blend Active, such as 'is ... just a blender', and 'is ... worth the money'. Part of the keyword research phase of SEO is in finding these crossovers, as they both give you something to write about, and also widen your market. Some will be worthwhile, others not so much, so the final phase is to evaluate those phrases that will generate traffic. You now have a list of the most popular keyword phrases. If you're feeling keen, you can even take the resulting spreadsheet, and devise a formula to work out which will be the best in terms of the traffic, competition, and advertising spend, but a first cull based on raw traffic is a good way to start. The longest part of the process is to create 10 to 15 blog or article titles that reflect the keyword phrases chosen, and then three to five headings that are related to the theme of the piece, and leverage other related keywords. Add that's it for the keywords. The usual advice holds for modern SEO practices; don't go overboard, trust semantic search to pick up the sense from the natural language and make sure that wherever the reader thought they were going to get, you actually deliver. 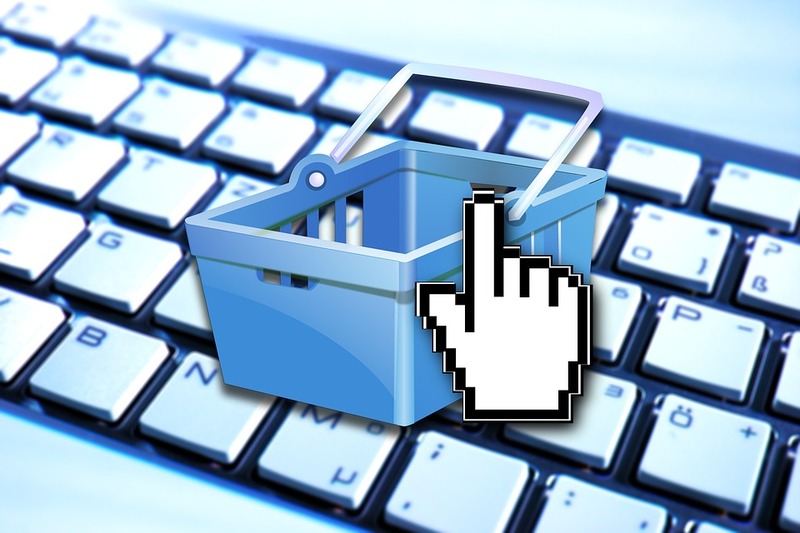 So, with five easy steps, you should now have enough material to promote (and even cross-promote) products on Amazon that are bang on trend. At least for now. Don't forget that Amazon updates the Best Seller, Most Gifted and Most Wished for lists frequently, so if you find one that is a constant source of inspiration, set up a page change monitoring service so that you are alerted every time the lists are re-published.